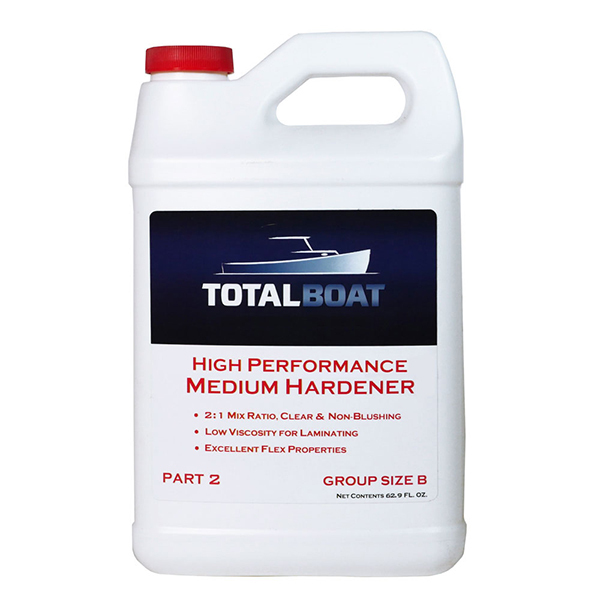 Medium speed curing agent for use with TotalBoat High Performance Epoxy Resin is appropriate for most common applications, and for overnight cure at room temperature. Simple 2:1 mix ratio by volume. Clear, blush-free finish is perfect for clear coating applications, and eliminates the need for time-consuming washdowns between coats. 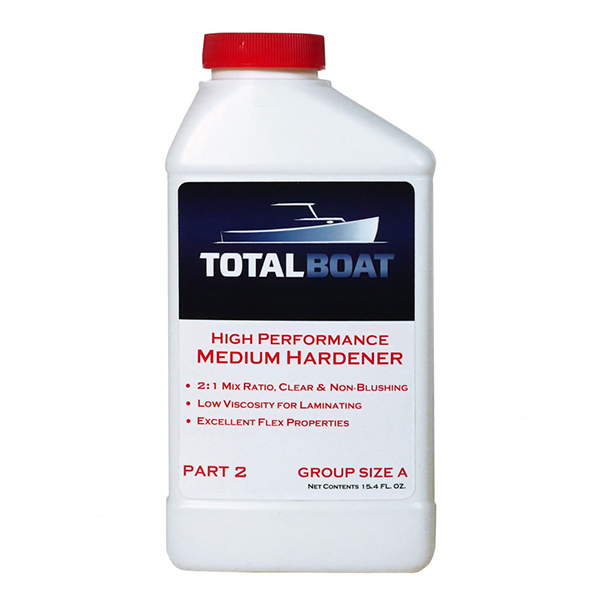 TotalBoat High Performance Epoxy Resin and High Performance Non-Blushing Hardeners can be poured (to measure by weight or volume), or dispensed in exact measure using TotalBoat 2:1 Epoxy Pumps. Our 2:1 Epoxy Pumps are intended for use only with TotalBoat High Performance Epoxy Resin and Hardener containers, and they will not fit other marine 2:1 epoxy resin and hardener containers. 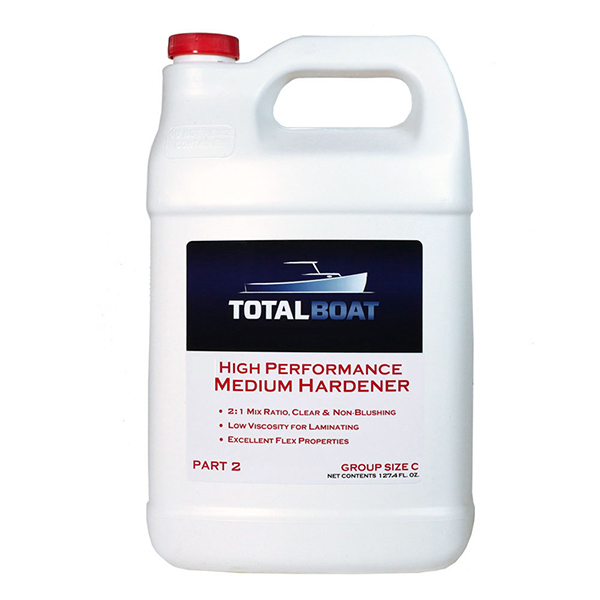 Which TotalBoat High Performance Hardener Do I Need for My Project? High Performance Slow Hardener – Use High Performance Slow Hardener for extended working time and cure time at room temperature, or when working in warmer temperature conditions. If you are new at working with epoxy resin, the slow speed hardener will give you more working time, which you may find helpful. Even better, you can customize pot life and cure time further by combining the different hardeners with each other. Just remember to always maintain the proper ratio of 2 parts resin to 1 part hardener by volume.